Our Nyx collection has been of our most popular - combining a simple but practical design, all surrounded by a choice of beautiful non-shed glitter colours to bring the sparkle! Nyx is perfect for those that want an entirely handmade approach but with a contemporary finish. 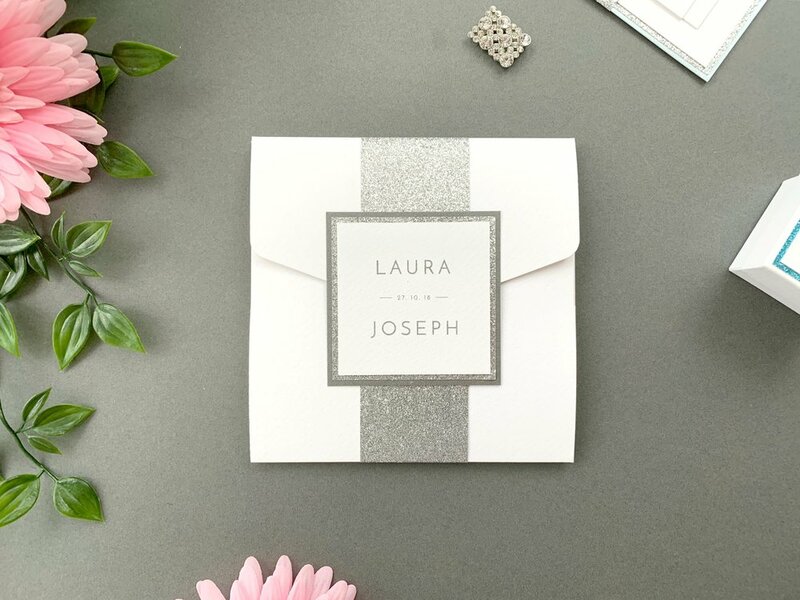 Invitations are available either as either a banded suite or pocketfold suite for day guests, with additional inserts if required and simple matching evening invitations. Glitter is used throughout the Nyx design and is available in a number of shades, allowing you to combine with cardstock layers for either a complimentary or contrasting theme. 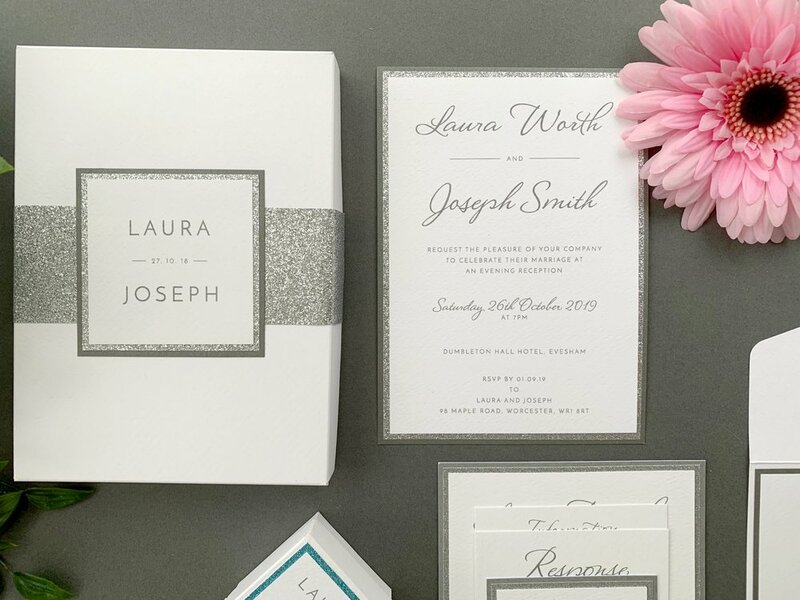 The invitations are shown with “Starbright Silver”, the Save The Dates are shown using “Rose Gold” Click below to see the choices available. Nyx uses a layer of coloured cardstock as it’s base which is used to either contrast or compliment the glitter paper. In the pictured examples we’ve used “Platinum” for the invitations and “Pearl Pink” for the Save The Dates. Click below to see the options that are currently available. Our Nyx collection uses layers of Italian textured cardstock, pearlescent cardstock and glitter paper for its design.